Today marks the start of one of the most exciting, fun and rewarding times of the stamping year- Sale-A-Bration. From today until 31st March there are fantastic products available for customers, workshop hostesses and new demonstrators alike. 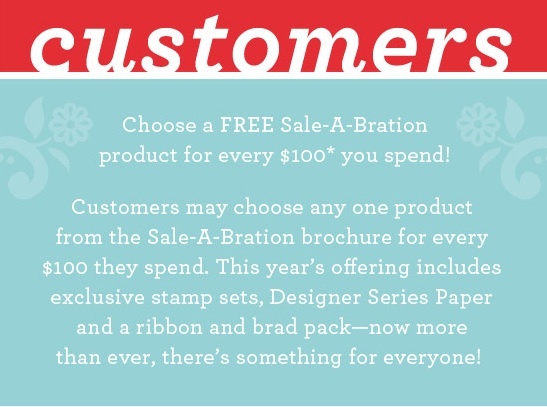 This year Sale-A-Bration is even more exciting with the introduction of the gorgeous 'Everyday Enchantment' designer series paper (LOVE!!! ); a ribbon and brads bundle (CUTE!!!) as well as the usual four stamp sets (ADORE them all). There are no limits with this special so for every single $100 you spend on stamping goodies you can choose another Sale-A-Bration product. Yipppeeee!!! Get together with family and friends and have me come run a workshop for you during Sale-A-Bration. 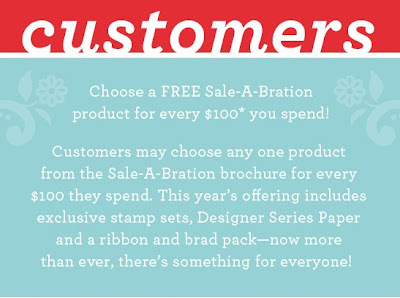 As the hostess, if sales at your workshop reach $600 you will receive a FREE Sale-a-Bration product. This is in addition to all of the regular hostess benefits you always receive, and the Sale-A-Bration products you will earn if your own order is above $100. That is a lot of freebies!!! 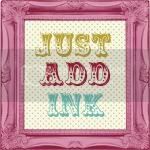 Join my team as a new demonstrator during Sale-A-Bration. 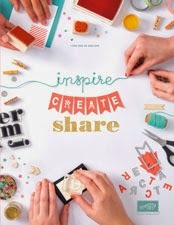 Not only will you save $40 off the normal joining price, become part of my awesome team, and enjoy all the wonderful things that are a part of being a demonstrator - you will also receive ANY stamp set from the current catalogue for FREE. Wow!!! For more details and a look at the catalogue click here or let me know if you would like me to pop your own copy in the post. If you would like to Sale-A-Brate with me by placing an order, hosting your own workshop or becoming a demonstrator yourself (best decision I ever made) then please contact me and I will be only too happy to help and get you some FREE goodies!!! Happy New Year- exciting times ahead.